Having a parent with an anxiety disorder can have an effect on a child’s mental health, according to a recently published long-term (“longitudinal”) study. A parent who has an anxiety disorder may pass on hereditary traits to his or her children that can make them more susceptible to anxiety-related illnesses. 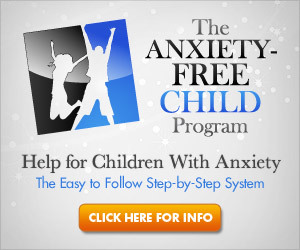 Growing up in a home with an anxious parent can also contribute to the development of an anxiety disorder in a child. It is difficult to say why this is; some suggest that children can pick up on a parent’s anxiety and it makes them feel more anxious, in turn. Based on the findings of the study, one way to counter the effects of a predisposition for panic disorder is for the parent who has an anxiety problem to seek treatment. The researchers found that children whose anxious parent received treatment for panic disorder (Cognitive-Behavioral Therapy was the form of treatment used in the study) had better mental health in the long-run. The treatment also benefited the parents in the study by improving their mental health (i.e., lessening or eliminating their symptoms of panic disorder). The findings indicate that by getting treatment for panic disorder, parents can experience better mental health and can also improve their child’s chance of enjoying good mental health. Hello! I could have sworn I’ve visited this blog before but after going thrugh some of thhe posts I realized it’s new to me. I’m very happy thst I found this in my search for something regarding this.